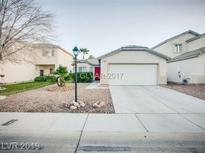 Below you can view all the homes for sale in the Lynbrook subdivision located in Las Vegas Nevada. Listings in Lynbrook are updated daily from data we receive from the Las Vegas multiple listing service. To learn more about any of these homes or to receive custom notifications when a new property is listed for sale in Lynbrook, give us a call at 702-323-5963. Sliding doors off kitchen lead to park like back yard that boasts desert friendly landscaping. MLS#2086705. Resolution Realty. This gem features: * Wood/Tile flooring, Shutters, & Ceiling fans throughout * Granite Counters * Extensive Cabinetry * SS Appliances * French Doors to Large Covered Patio * Solar & gas heated Pool/Spa w/ wet deck * Separate Master Bd w/ Custom Closet, Barn Doors, Garden Tub, Sep. Shower, Dual Sinks * Small RV pkg. 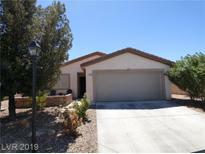 Shopping nearby, convenient to Nellis/Creech. MLS#2086268. Simply Vegas. Awesome gated community neat Aliante Golf Club w/park. MLS#2084415. GK Properties. Easy Access Too Shopping, Freeway And Schools! MLS#2080590. BHHS Nevada Properties. Open and airy floor plan with neutral colors throughout! Nice size yard! MLS#2084176. Terra West Management Services. In-law Suite Downstairs w/Own Bath, 3 Car Garage, Elegant Glass Front Doors, Wet Bar w/Refrigerator In the Living Area, Big Loft Upstairs, Built in BBQ Out Back, Beautifully Landscaped Backyard, Pool Sized Lot and so much more! MLS#2083473. Realty ONE Group, Inc.
An open floor plan makes this home a wonderful place to enjoy with family and friends. A MUST SEE! MLS#2082861. Signature Real Estate Group. Spacious Master w/walk in closet &dual sinks in bath, separate tub & shower w/walk in closet. MLS#2082169. BHHS Nevada Properties. Covered Patio,Pool/Spa,Builtin Barbeque And Bar MLS#2081248. Elite Realty. Stunning home located in the Lynbrook community with an inspired neighborhood dedicated to relaxation, balance, and beauty. MLS#2079213. eXp Realty. Beautiful, spacious and private backyard has a large cvrd patio w/ pre-wire for above ground spa!! Immaculate Home! ! MLS#2080533. Realty ONE Group, Inc.
Back yard has a nice patio with a beautiful sparkling private pool and spa!Enjoy nice low power bills with the solar power system. MLS#2079162. Simply Property Management. 4 large bedrooms plus loft, 3 car garage, pool sized lot, patio cover, balcony off master, large walk-in closet, premium hand scrapped laminate flooring throughout, newer carpet in bedrooms, bed and full bath downstairs, granite counters w/ an island, SS appliances, lush green grass in backyard, formal living/dining, family rm open to kitchen, two fireplaces, gated community with park. Shows beautifully inside and out! MLS#2078305. Love Local Real Estate. Upgraded features include overall fresh interior paint, and newly installed carpet in select rooms. MLS#2077300. Opendoor Brokerage LLC. Single story home in a gated community with 4 Bedrooms, almost 2400 sqft, Freshly Painted, New Carpets, plantation Shutters, Low E Windows, Ceramic tiles, Wood flooring, Stucco Covd Patio, Dbl sided fireplace, potshelves, Beveled custom front door, SUV size garage, ,arched doorways. MLS#2076830. RE/MAX Excellence. Featuring a beautiful gazebo, an above ground spa, and a grass area with no rear neighbors. MLS#2076211. Simply Vegas. In addition, the property boasts a a mini putting green, with paved and gated RV parking, grass landscape in front and a three car garage... all on over a 10,000 sq ft lot in a single story community! MLS#2069319. eXp Realty. Plantation shutters throughout, huge yard with no homes behind, beautiful tile with inlay in entry, fresh paint, gorgeous carpet, amazing closet organizers & incredible decor! MLS#2066595. Urban Nest Realty. Pebble Tech pool with waterfall, desert landscaping in the back and grass in the front. MLS#2060172. Vegas Dream Homes Inc. This home is a must see! MLS#2057506. Keller Williams Realty Las Vegas. This home will not disappoint. Great location within the community! MLS#2056732. eXp Realty. This property needs some TLC, must see to know its full potential, great value. MLS#2043642. eXp Realty. Large patio and no neighbors behind. MLS#2034136. Simply Vegas.